Welcome to All About Locks, Inc. We specialize in all aspects of locksmith services from residential to commercial, with a primary focus on commercial locksmith services such as card access, restricted keyways, and commercial security equipment repair. We have affordable prices with 100% satisfaction guaranteed and haven't been matched on our quality service. Baldwin, Emtek, Kwikset, Medeco, Schlage, US Lock, and Von Duprin are just some of our major name brand locksmith supplies for you to choose from. Hiring the right locksmith makes all the difference in the world. We are licensed, bonded and insured. You can trust All About Locks to do the job right, the first time. 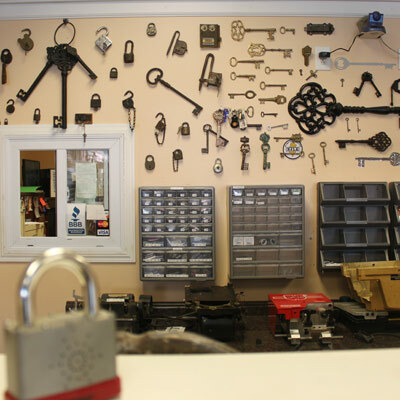 All About Locks, Inc. is family owned and operated. We have been in the locksmith business for twenty-seven years and take pride in our work. All About Locks is built on old school values such as hard work, integrity, and professionalism at it's best. We schedule appointments according to our customers needs. Here at All About Locks, we understand the difficult economic situation of the country, and make efforts to align pricing with current market value.